Louie had a sleepover on Saturday night at the breeder’s house so he can run around and play with his bully friends and get some energy out. 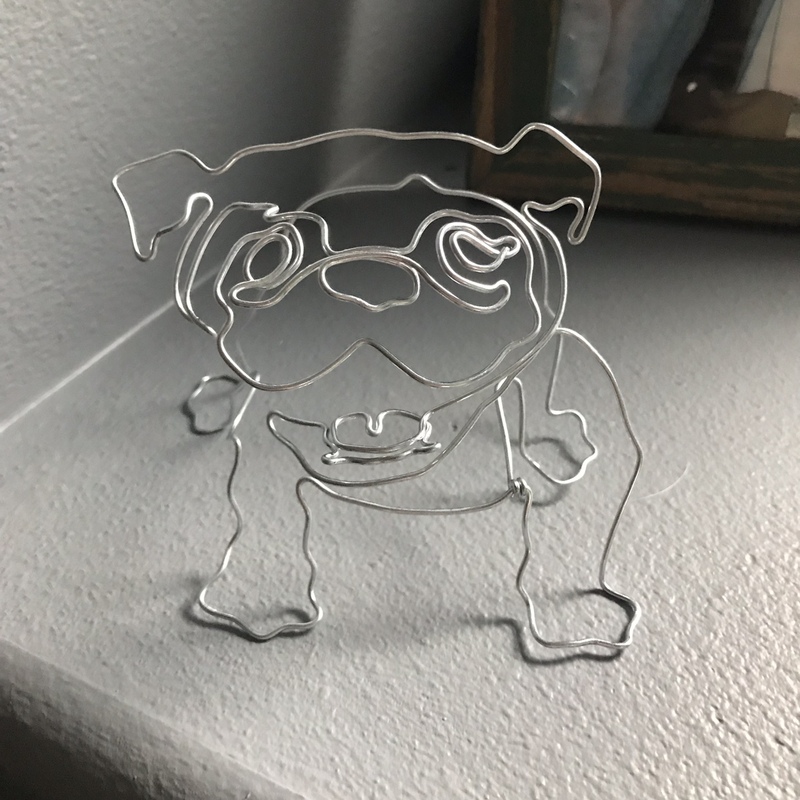 She had recently gone to Key West and had this wire bully made for me from a street vendor and she gave me this great bully yard sign that her friend makes. I’ll put the sign in my backyard as I don’t want to advertise I have bullies! How awesome are those!!!!! LOVE!!! Really good thought not advertising that you have those precious bullies onsite! !